STANDING on the side of the green pitch in the wet Joburg cold, it is impossible not to notice the energetic youngster running on the field. She exudes authority and is nothing short of confident. At just 19, Nthabeleng Maine has just been chosen to represent her country in hockey for the second time around and I join her at training at Wits University to talk about her achievements. “I’m sorry, I know it’s freezing but you’re going to have to wait 30 more minutes because I’m not allowed to do anything else when training”, Maine tells me before she quickly returns to her hockey squad’s training. Despite her youth, it is clear from her stern tone when shouting instructions to her teammates that Maine is strong-willed and assertive. She will be joining the squad of 21 at the Hockey Junior World Cup in Santiago, Chile, later this year. This is not Maine’s first time in the green and gold; the Wits centre-half was selected for the under-18 squad in 2014. She’s excited about the upcoming World Cup and considers it a coming of age experience as a hockey player. “I got to play against Australia in Pietermaritzburg when I was in matric but it was just a test series. This is big, I mean it’s the Junior’s World Cup and it’s something that doesn’t happen every year,” said Maine. Marks added that Maine is disciplined and is a crucial player on the pitch and as a captain. “She was motivating and sets a good example to the others because of how committed she was,” said Marks. Maine started playing hockey around the age of seven but says that while she enjoyed playing other sports always knew that hockey was her favourite. 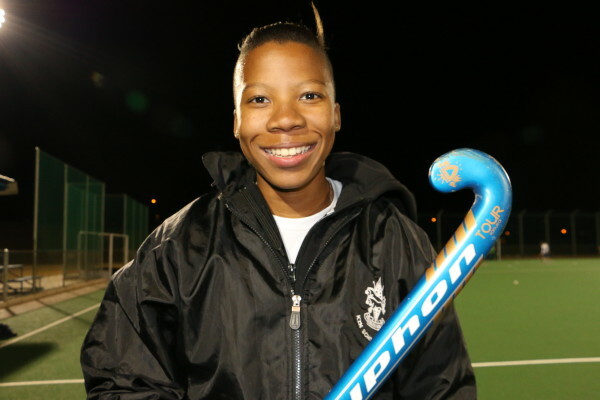 Wits Hockey club manager, Erika Venter said Maine was an inspirational player not only because of the way she played but because of her leadership skills on and off the field. Maine says she hopes to make the squad again in the future as she still has two more years to qualify for the under-21 team but confesses that her “ultimate dream is to play for the senior national team”. The Junior’s World Cup will kick off on November 24 and South Africa will face Australia, Chile and England in their pool C games.